STRATHBUNGO WINDOW WANDERLAND IS BACK… GET THE DATE IN YOUR DIARY AND YOUR THINKING CAP ON! 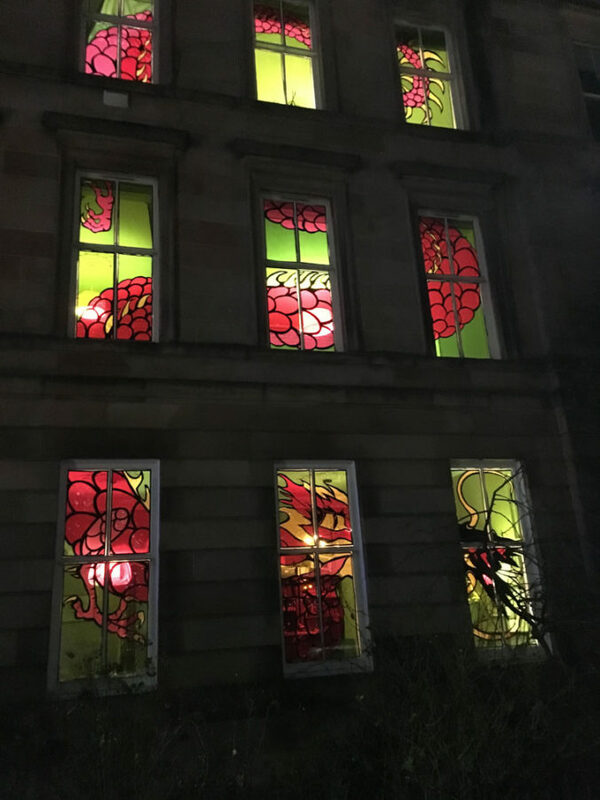 On Saturday 23 February 2019, Strathbungo Window Wanderland will once again transform the streets of Strathbungo into a spectacular outdoor gallery for all to enjoy. As always, the success of last year’s event was down to the incredible efforts of residents and their wonderful window displays… From performances in front rooms to amazing projections onto buildings; mischievous monkeys, polka dot parties, disco balls, bubble baths, mythical creatures, intricate installations, pop up bingo halls and tattoo parlours, fantastical faraway lands and music filling the streets…. It was beautiful! We can’t wait to see what 2019’s event brings! Simply create a window display in the front windows of your flat, house, business or shop. Please don’t feel intimidated! A ‘display’ could be as simple as a candle, book, fairy lights or image in a window. Or you could go all out and stage a performance in your front room! Simple or spectacular… it’s completely up to you. Supported by the Strathbungo Society and Pollokshields Area Partnership.